across our pre-owned Special Buys range. We’re committed to offering our customers the best service and cars at the best prices. 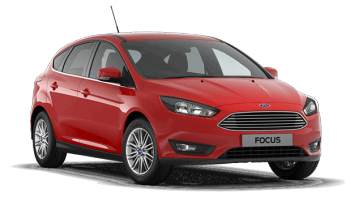 Exclusively to TrustFord, our Special Buys range offers amazing prices across a range of our bestselling pre-owned hatchbacks – the Fiesta and the Focus. > The most competitive on the market - we have a large range to suit any budget. If you find the same, pre-owned, car cheaper at a competitor dealer within five days, we promise to refund the price difference*. It really is that simple. 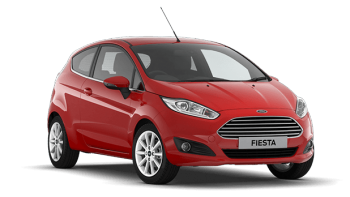 With sparkling accents and high quality details, the Ford Fiesta is polished and poised. Look a little deeper and you discover every single component is engineered with one objective in mind: quality that’s built to last. Find extra pleasure in the small details with the Fiesta, including incredibly smart, powerful and easy to use, technology – cruise control, tyre pressure monitoring system, Ford KeyFree System with Ford Power Starter Button and Ford SYNC with Voice Control and AppLink. Making your driving experience more convenient. The Focus offers a completely restyled, more sculpted exterior and an advanced and sophisticated cabin space as well as a wide range of remarkable new technologies. For example, Ford SYNC 2 with Voice Control and 8" Touchscreen enables you to intuitively operate the car’s navigation, entertainment and climate control systems, just by using your voice. And an upgraded Active Park Assist has now been enhanced to take the stress out of both parallel and perpendicular parking. A range of state-of-the-art petrol and diesel engines deliver the perfect balance of power and fuel-economy. An advanced PowerShift transmission and paddle shift gear changes maximise the performance and efficiency of both. Terms & Conditions: *Participating dealerships only. Subject to availability. Price Promise only available on Special Buy stock, pre-owned vehicles exclusive to TrustFord. Limited stock. Images for illustration purposes only. The TrustFord Dealership will at its discretion either refund the price difference, or reduce the order by the price difference, provided that the customer can demonstrate by the provision of a genuine written invoice or quotation from a competitor dealer that a similar car is available at a lesser Price on a like for like basis within 5 days from the customer placing the order with the TrustFord dealership. The company reserves the right to vary the terms and conditions of the TrustFord Price Promise at any time. In the event of any dispute as to the interpretation of these terms and conditions, the application of the same or otherwise, the decision of the TrustFord Dealership shall be final. Any refund made to the customer as a result of a claim made under the TrustFord Price Promise shall be paid in £ pounds sterling via an electronic transfer to the Customers designated bank account or via cheque, within 30 Days of a TrustFord Price Promise claim being received. TrustFord Now – for more information please visit TrustFord.co.uk/Now.